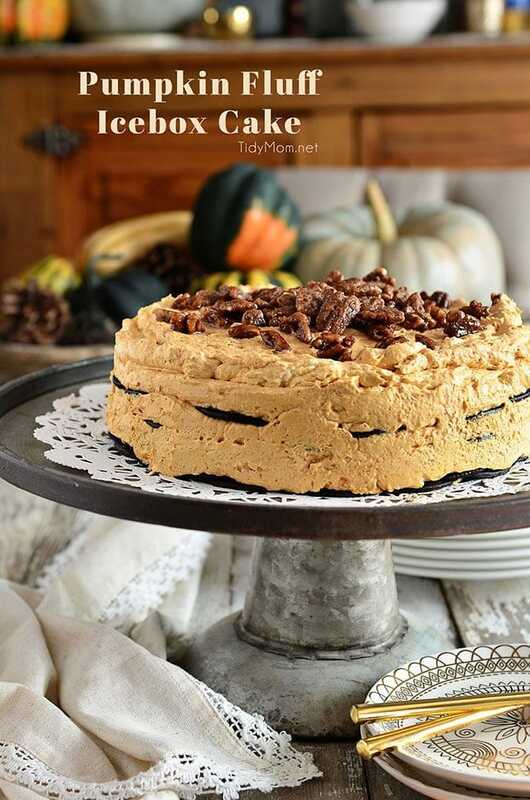 If you like pumpkin, you’re going to love this Pumpkin Icebox Cake! It’s is a delicious no-bake dessert that comes together in no time. Making it the perfect make-ahead dessert for Thanksgiving dinner. We have not made many pumpkin recipes in our house yet this year, so the other night I planned on making pumpkin fluff dip, one of our favorite fall treats that we’ve been making for years. 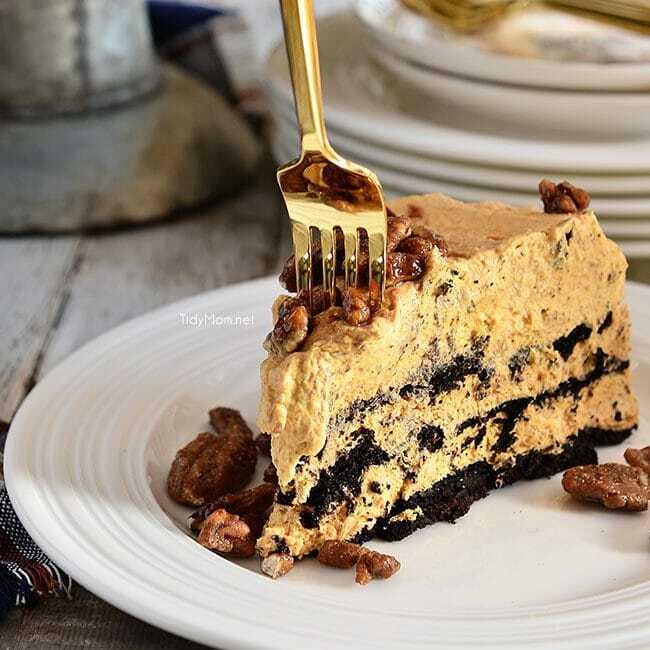 As I grabbed the can of pumpkin from the pantry I spotted a few boxes of chocolate wafer cookies when it occurred to me……why not make the pumpkin fluff into an icebox cake?! It’s just as delectable as it sounds. When a fluffy pumpkin spice mousse is sandwiched between chocolate wafer cookies and allowed to set overnight until the cookies become as soft as cake, well that, my friends, is pure heaven. Pumpkin fluff is a recipe I found years ago on a weight watchers message board. We’ve always made it with sugar-free instant pudding mix, 1% low-fat milk and Cool-Whip Lite to make a tasty dip that was easy on the hips. 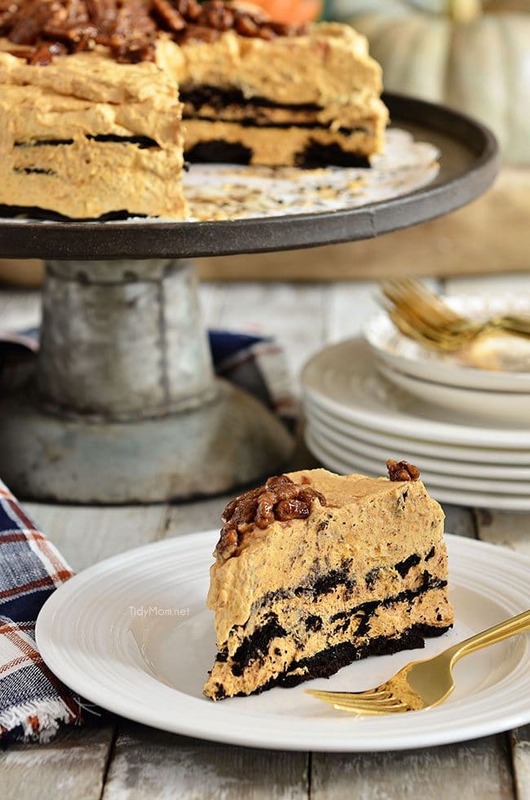 This Pumpkin Fluff Icebox cake can be made either way – use all lite or full-fat version of the ingredients. This icebox cake starts with our favorite fall treat pumpkin fluff, which can be eaten with just a spoon, or as a dip with your favorite cookie. Check out how easy it is to whip up. I’d love to hear about your favorite pumpkin recipe in the comments! 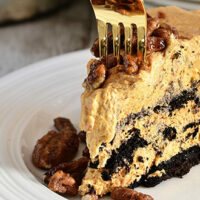 LIKE THIS PUMPKIN ICEBOX CAKE RECIPE? PIN IT! 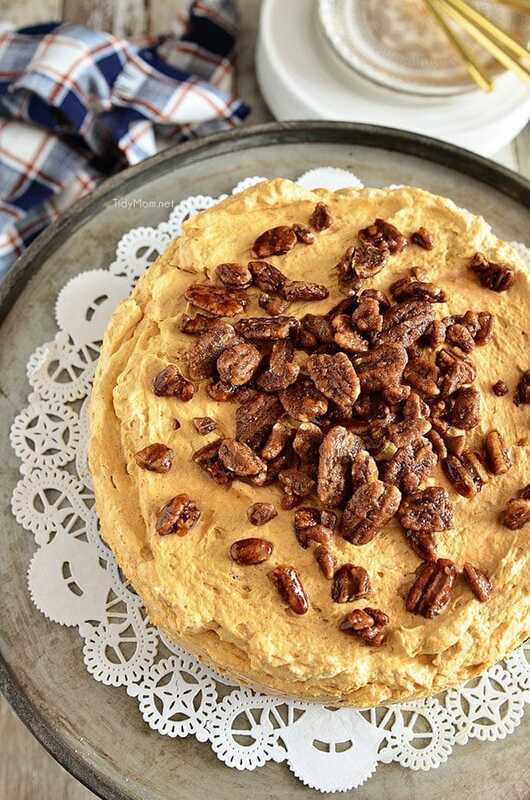 Pumpkin Icebox Cake is a delicious no-bake dessert that comes together in no time. The hardest part is leaving it in the refrigerator over night. In a large mixing bowl, whip milk and pudding mix until well combined. Add pumpkin and spice and blend until smooth. Fold in whipped topping. Scoop 1/3 of the pumpkin fluff mixture onto the cookies and using an offset spatula, gently spread it evenly over the cookies. Top with another layer of cookies, and 1/2 of the remaining pumpkin fluff - repeat with a 3rd layer of cookies and remaining pumpkin fluff. Garnish the top with candied pecans. Gently cover the cake with plastic wrap and place it in the refrigerator at least 8 hours or overnight so the cookies soften making a cake-like texture. To serve, release cake from pan, cut into wedges and serve cold. That fluff looks amazingly delicious and as all at home love everything with pumpkins, I’m going to make it in the weekend! 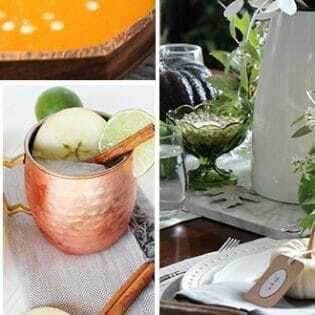 I would love to see this at our Thanksgiving dessert table! What an easy yet delicious dessert idea for the holidays!! LOVE IT. Pumpkin and fluff in the same sentence?! I’m sold! 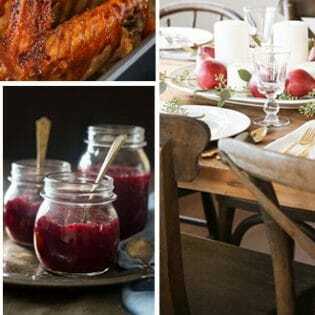 This would be such a fun addition to Thanksgiving! Icebox cakes are the BEST! And pumpkin spice flavored fluff? I could eat this all through the holidays! I still haven’t got my fill of pumpkin yet – this will definitely help!! So unique. It would definitely be a nice Thanksgiving changeup from all the pie! I’m kind of dying over this. It looks amazing!! My kind of dessert! I seriously need this in my life!!! It looks amazing, and your pics are making me hungry! I love recipes with “fluff” and “fluffy” in their titles. This looks awesome, Cheryl! That pumpkin spice mousse is calling my name! I can’t get over how fluffy it is! Amazing dessert, a must make. Thank you for this wonderful creation. Oh, I love a good ice box cake. And this one looks phenomenal! This icebox cake looks incredible! Love the candied pecans on top! it’s so good to know that I’m not the only one out there who craves frozen desserts even in the dead cold! absolutely NEED a huge hunkin’ slice of this in my lifeee! Hi this looks awesome and I plan to make it tomorrow! Can you clarify what fraction of the fluff goes on for the first layer? It look like a number got cut off and I’m not sure if it should be 1/3 or 1/2 or? Thanks!! it’s 1/3 since there are 3 layers 😉 enjoy! !